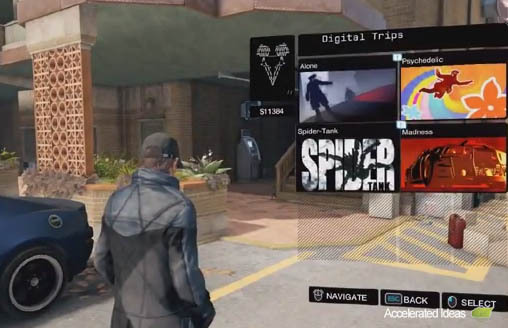 With so much open world space it was inevitable that Ubisoft would hide a few Easter Eggs for gamers to find in Watch Dogs. 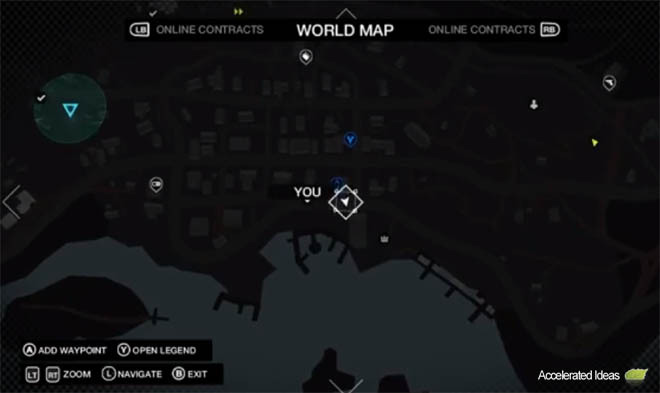 In this post I'm going to show you several of those Easter Eggs and exactly where to find them on the map. 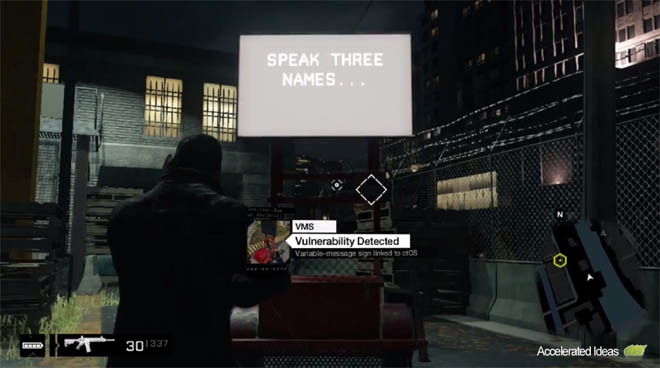 There are various TV and film references including Game of Thrones and Breaking Bad, a whole load of viral internet memes such as Slenderman, and several well placed Ubisoft memories to uncover from Assassins Creed and Raving Rabbids. 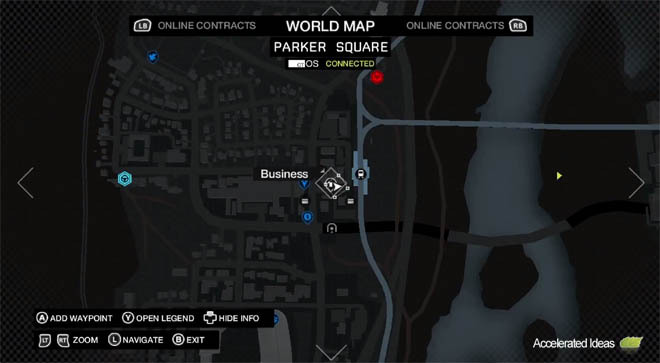 All you need is the exact location and the hacking tool in some instances. 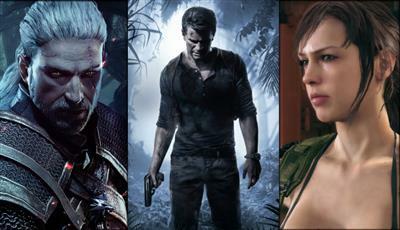 Ok, I'll update this post as I find new Easter Eggs.. Walk up to the counter, turn left and look up at the wall. 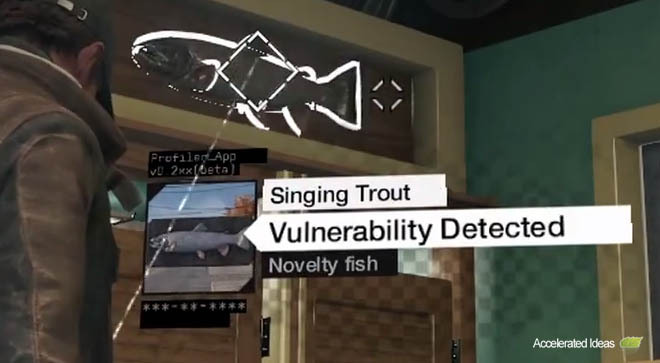 The Singing Trout will be highlighted in your HUD signifying a Vulnerability Detected. Click the corresponding button and the Trout starts to sing a nice little rap song. 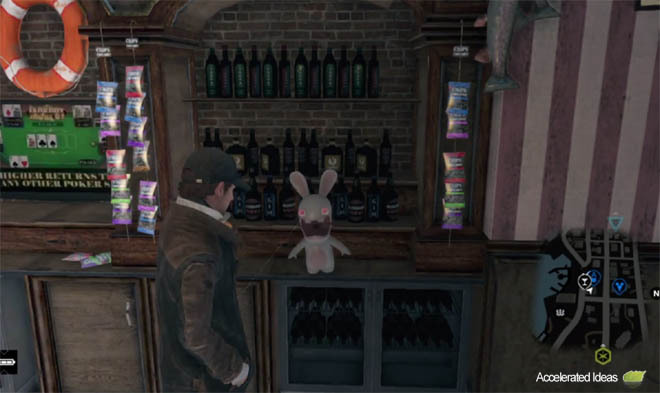 Simply walk inside the bar (Jedediahs Bar) and behind the bar you will see the white Raving Rabbid. Press the action button and the little guy will sing some jubberish with a little tune to accompany him. Nice! Godzilla is the giant monster originating from tokusatsu films in Japan, he’s one of the most recognizable symbols of Japanese popular culture. 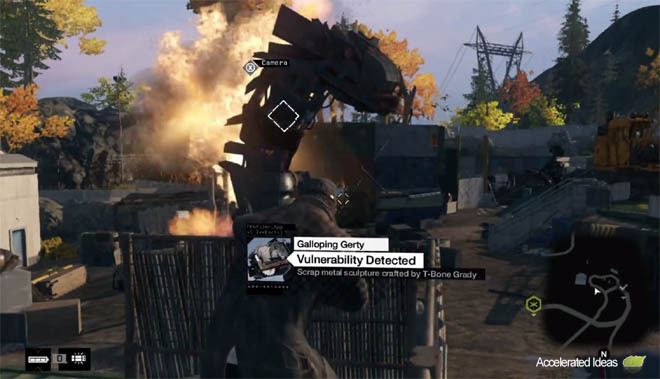 In Watch Dogs you can find Godzilla crafted out of scrap metal, hidden in a scrapyard of the Pawnee district. 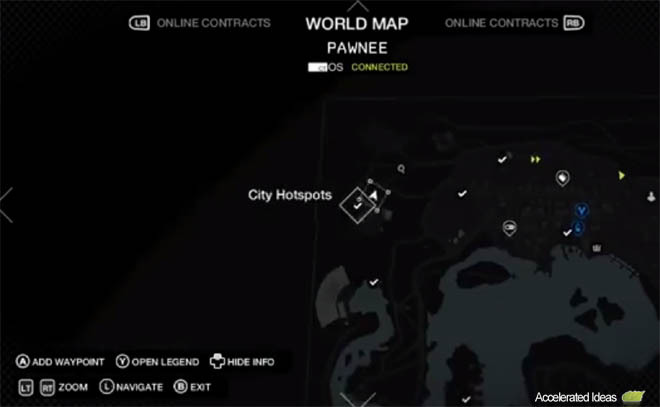 The scrapyard lies in the upper left corner of the world map. Explore the scrapyard and you’ll find other scrap metal creatures but the best one lies in the middle of the yard. Use your hacking device to activate the Godzilla creature and he’ll breath fire, inflicting damage on nearby personas. 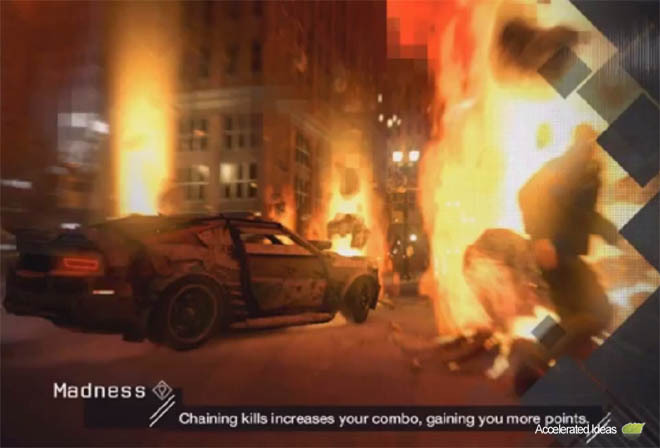 The zombies mini-game is a fun detour from the original Watch Dogs action where you get the chance to drive over flaming zombies in an attempt to rack up the most kills possible. The sky turns an eerie red colour and it's a race against time to run over the undead and reach the end of the race. 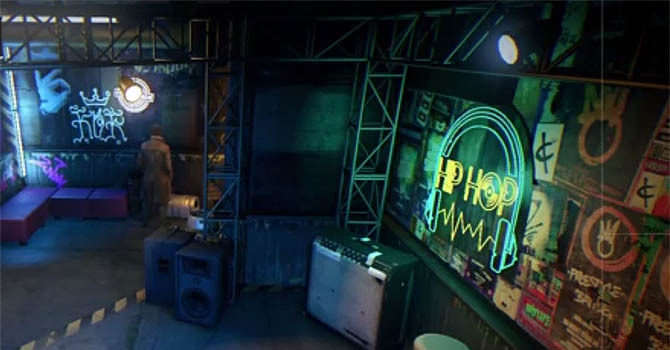 To start the zombies mini-game just open up your mobile phone, scroll down to Digital Traps. Open the menu and select Madness.